The US maker of computer memory Super Talent has joined the DDR4 memory club. The company has unveiled its first DDR4 memory modules on its web site, possibly avoiding a noisy launch event. The short description of the memory also helps this hypothesis. 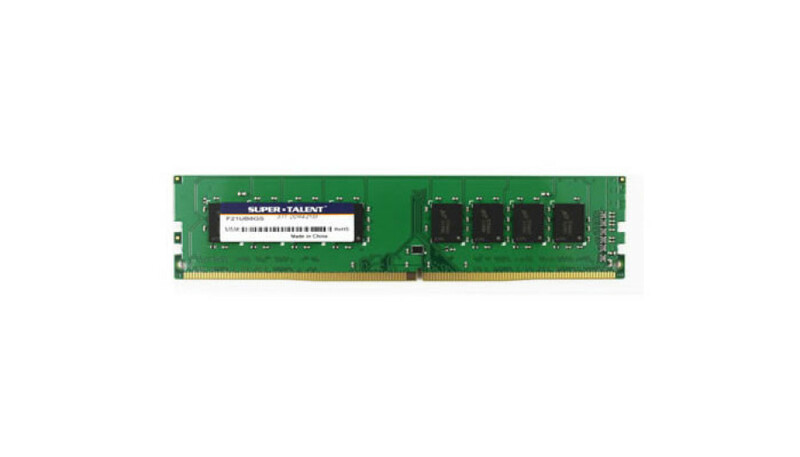 The first DDR4 memory modules by Super Talent run at 2133 MHz, need 1.2V, and offer 15-15-15 latencies. There are two capacities – 4 GB and 8 GB, and both modules can be used with server Intel Xeon Haswell processors. By the way Super Talent mentions that this memory is ECC UDIMM so it will likely not work in your desktop Haswell-E computer. There’s no word on pricing – instead Super Talent says that DDR4 is twice as fast as DDR3 while using 20 per cent less energy.